I read this article and found it very interesting, thought it might be something for you. The article is called Perrys Aquatic Centre and is located at https://perrysaquaticscentrelincoln.com/Latest%20Posts/dr-fish/. My brother was recently in South East Asia and came across Dr. 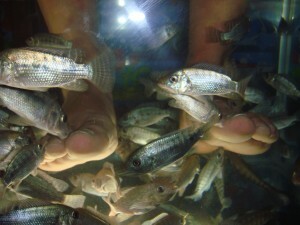 Fish Massage in Siem Reap, Cambodia. Here is the video he posted of the pedicure he had by hundreds of Garra Rufa fish.